Welcome home to 42° North. We’ve intentionally remained a small firm to offer our clients a customized service experience…bigger is not always better. We’re here to offer dedication, focus, and commitment to each project we undertake. Although our designs are flooded with detail, we’re the only full-service team who can get your design to the construction phase in just a few months. You won’t see the same cookie-cutter designs coming from 42° North. Every project brings a new challenge and we’ll lend authenticity to any style. Lucid specializes in developing unique solutions that are specifically designed to meet clients needs. We have completed residences over 10,000 square feet, and as small as a 500 sf addition. So, the size doesn't matter much to us, we are really just interested in working with clients that value great architecture, design, and building, and are looking for unique and creative ideas. Improving your world one space at a time - through architecture, interiors, landscapes. Would you like to live and work in rooms that bring out your best? Ever been in a room that made you feel fabulous? Or been inspired by your office? Rooms like these infuse you with a special energy. Colors that make you smile. Textures that comfort you. Views that surround you with nature. Your home could be a soothing sanctuary. Your work place could foster your growth. Move in to an ImaginEco Design and you’ll thrive more than ever before. AeH Designs, LLC, is a boutique design firm specializing in careful, creative designs for residential clients. Whether your project is a small bathroom remodeling project or a custom home, you will be in capable hands. With more than 23 years of experience in construction, project management and design, you will receive personal attention while receiving the best possible solution to your holistic spatial needs. In working with clients, Corri Sandwick Architecture listens to the client to find design solutions for new homes, additions and remodels that will support daily living. CS Architecture works closely with clients to provide homes that are sustainable by using less energy, water and materials, CS Architecture collaborates with clients and builders to reduce the environmental impact of building. Livable, Buildable Custom-Quality Home Plans & Unique Home Designs At SketchPad, we believe building a home that expresses your individuality and delivers on your custom needs should be neither impossible nor impractical. For that reason, we’ve set out to redefine the way home plans are made available on the Internet. Allowing you to pick from among a carefully chosen selection of amazingly attainable home plans and dynamic home designs, all which are fully developed in house by our talented design team. Each SketchPad home plan is completely unique, blending contemporary influences that provide luxurious comfort with more traditional, time-honored architectural forms that showcase true craftsmanship. They are inspired by great homes of the past but with a fresh look and a bit of an eclectic flair. We also eliminate any unnecessary details, focusing primarily on the correct scale and proportion of the house and all details. Ultimately, we believe in great home design that pays scrupulous attention to detail and overall craftsmanship. The end result is a home that’s not only perfect, but also perfect for you. At SketchPad we understand the process of home design from the initial creation of a home plan, to move in day of your cherished luxury home. With each home plan from SketchPad, you not only get a design for your dream home, but also a highly-livable floor plan that reflects our years of insight and experience. So, we invite you to explore the home plans exclusively available at SketchPad. We sincerely hope you find the home you’ve been searching for. Sears Architects is a boutique architecture and planning firm that develops personal relationships with clients as we design their individual, award winning projects. We are known and respected nationally for our outstanding design and meticulous attention to detail. Sears Architects’ work is largely recognized for our commitment to period architecture and thoughtful land use. We have become a leading firm in waterfront and resort architecture in the Great Lakes region. The firm has been involved in projects including homes, cottages, neighborhoods and mixed-use developments. ADIDA Inc. is an acronym for my specialty - Architectural Design, Interior Design & Art. I’m Valentina Velkova. I offer you over 30 years of experience, the last 26 years have been here in Michigan designing and creating the homes my clients have always wanted. Our main focus is residential architecture and design. I take pride in developing unique designs and have a passion for challenging projects. Since I was a little girl back in Bulgaria, my dream was to become an architect. Having earned my Masters Degree in Architecture in Bulgaria it gives me a unique perspective on design. I don’t just design a building, but rather consider each detail. Everything from the landscaping to the furniture. I can help you come up with colors, fabrics, finishes and answer your questions on the thousands of decisions that go into designing your unique space. 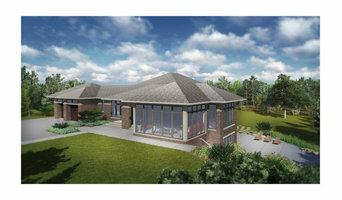 My portfolio includes custom residential design, new construction, additions, remodeling, and specialty lakefront homes. Contact me today and let's take your vision to paper and draw the blueprints. Together, we can make your dreams a reality that you will enjoy for years to come. Cottage Home is a Design/Build firm of well-appointed beach homes and cottages. A Cottage Home is your custom home designed to your lifestyle. Our goal is to provide you with an outstanding design/build experience. We work closely with those who are interested in quality, uniqueness, and an opportunity to live in great design. Our reputation has grown on our ability to design and build a home that mirrors your lifestyle, without compromise. Studio Duo is a small, privately owned company based in Grand Rapids, Michigan. We specialize in residential architecture & interior design as well as corporate interior architecture and design. Our history of projects range from offices for Chubb Insurance's European headquarters in London to three west coast homes for actor Danny Glover and his family. And, of course, we've done lots of work closer to home. Our principals, George DeWitt and Brendan Van Stee, together offer nearly fifty years of international experience. Ligature Studio, LLC (formerly Oeftger Architecture) aims to provide an environment that engages the client with interactive design. The purpose of Ligature is to create a workshop for clients to help them realize their ideas through sight, touch, and conversation. Our Studio intends to teach the new home owner the language of design and give their ideas a voice. At Ligature, we take clients on virtual walk-throughs, designing the details of what makes a house a home and "tying" each element, idea and wish into cohesive, beautiful whole to be called home. This process of "tying" elements, ideas and wishes together into a new unified form, is what inspired the name "Ligature." Typographically, a ligature is a combination of two or more letters into a single symbol. In music notation, a ligature is a graphic symbol that tells a musician to perform two or more notes in a single gesture, and on a single syllable. Also, I did not want this architectural service to be about me, thus, I refrained from using my name for the business. You may notice the combination of the "UR" in the name "Ligature," reminding us that as the client, "you are" what is important. Todd Oeftger, AIA has been a licensed architect in Michigan since 1995. His career began in commercial architecture until 2014. Then worked with a high-end residential builder designing custom homes. Todd has been developing the business in home design since 2015. Todd's wife is an RN and they have four adult children. He loves playing ice hockey. Other hobbies include horses, playing cello and camping. How do I find the best Cutlerville architect for my home design project? It is best to hire a home architect who will be involved in all phases of the design process, from the initial concept to the completed construction. The architect is often the first person you will hire for your project. If necessary, they might also help you select and hire Michigan subcontractors, which can include the builders, engineers and landscaper. Interior architects are also involved in negotiating contracts for all involved participants. It is for these reasons that it is extremely important for you to have a good relationship with the Cutlerville residential architect you hire. He or she can be the tie-breaking vote between you and the general contractor and can be your biggest advocate during the construction process. Different architecture firms in Cutlerville, MI provide different services, so the scope of the work can span from pre-design environmental impact studies to selecting furniture and finishes, depending on what your specific needs are. It is very important to hire the right professional for the job. Remember that the most well-known or established designer might not provide the best architectural services for your needs. It all comes down to the individual project. Research and ask people whose work you like for recommendations. It's important to have somewhat of an idea of the style of house architecture that you prefer, as well as the amount you would like to spend. Residential architects in Cutlerville, MI are natural problem solvers. They will assess the entire situation and help you to solve your problems too. Don't settle for a single company too early. Call and interview a few. Make sure that you feel like your personalities will mesh well and that you like their professional perspective. Find a home architect in Cutlerville, MI on Houzz. 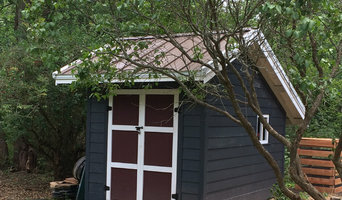 Narrow your search in the Professionals section of the website to Cutlerville architects. You may also look through photos of Michigan projects to find interior architects and building designers who have worked on a project similar to yours.